Below is a discussion of security at nuclear power plants, a plan for neutralizing the waste (also discussed in the presentation), and a look at the possibility of moving the spent fuel at San Onofre, a closed nuclear power plant, to Palo Verde Nuclear Power Plant, which is scheduled to remain open for another 20 years. Also included are comments on moving the waste to PVNPP from Tom Palmisano, Vice President of Decommissioning and Chief Nuclear Officer San Onofre Nuclear Generating Station. We talked briefly about security at nuclear facilities and you said you thought they were "very secure" locations. The shooter at the Orlando nightclub was a security guard for the firm that "protects" 90% of America's nuclear power plants. At a nuclear reactor in India, the head of security there turned on his fellow guards a few years ago, killing three. Fortunately he was acting alone and did not continue the attack to the facility itself. This week in Dallas, Texas, a single shooter was able to kill five police officers and wound seven more before being subdued. The attacker claimed to have planted bombs throughout that city. And it comes as no surprise, considering the "skill" of the attacker, that he has been identified as a trained U.S. military veteran with experience in Afghanistan, and in the reserves. If there is any better proof that security at our nuclear facilities is inadequate (the exact number is "classified" but is well known to be between three and five guards at any one time), one need only look at Baghdad, where one car bomb killed over 200 people in an instant. Or Beirut in 1983, when one truck bomb killed 241 American servicemen and women, along with over 60 others (mostly French troops). More than 20 suicidal terrorists were involved in the 9-11 tragedy. Most of the "iron coffins" (lookout posts) at San Onofre are unmanned at any one time. Security guards patrolling the spent fuel carry only sidearms and generally walk alone, and only periodically cover any one area. The same technique used by the Dallas police this morning to kill the last suspect -- a remote controlled robot carrying a bomb -- can be used by terrorists next time. Not to mention flying drone bombs which can be controlled from more than a mile away with live video on board the drone. After 9-11 there was a call for permanent anti-aircraft installations around each nuclear facility, which would have numerous problems and was never implemented. "No-fly zones" were also suggested and in some cases may have been implemented, but only for a few weeks and only below 5,000 feet. Problems with adding anti-aircraft installations would include the horrific possibility of shooting down the wrong planes, or of failing to shoot down the attacking plane(s) in the mere seconds it (they) would be in range, as well as either inadequate fields of fire or fields of fire that actually include the facility itself, along with extremely high costs for installation and maintenance of the facility, and continuous training and retraining of the personnel. According to a National Academy of Sciences study, spent fuel dry cask storage containers cannot survive more than about 20 minutes in a jet fuel fire (the exact length of time and other details are "classified"). Yet the current plan for an "island" of sunken dry cask pods at San Onofre does NOT include a system to allow run-off of jet fuel, which the study suggested is imperative to prevent such a condition. Diablo Canyon's dry cask pad is also not designed for such a catastrophe. In fact, no dry cask facility in America seems to have taken into account the dangers revealed in the NAS study. There should be no question that the security forces at any U.S. nuclear facility -- including San Onofre -- can be quickly overwhelmed. An estimate by the Blue Ribbon Commission (BRC) of $8 million per year spent per reactor for security is clearly a grossly inadequate amount. The current designs for spent fuel storage are grossly inadequate from a security standpoint, and are not "hardened" in any significant way. 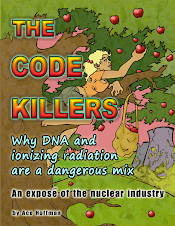 Dr. Peter M. Livingston, who has ample experience both in attending U.S. nuclear bomb tests in Nevada and working with radiochemistry issues, is not the first or only scientist to suggest that spent fuel nuclear waste should be neutralized to whatever extent is possible. However, as far as I know he is the only one with a patent (pending) on the subject. It is well established, through experimentation with linear accelerators, that photons in the 10 to 15 million electron volt (MeV) range are capable of splitting fissile materials: Uranium-235 and Plutonium-239, the "active" ingredients in nuclear fuel. (U-235 is the main fissile isotope in "fresh" fuel (with a small quantity of U-234, which is also fissile), but Pu-239 is produced from U-238 during criticality). When fuel is removed from the reactor, it is because too many "poisons" have built up in the spent fuel ("poisons" (an industry technical term) are isotopes which are not fissile but which can absorb neutrons and block the chain reaction). Fissile isotopes have half-lives of 700 million years (U-235) and 24,100 years (Pu-239). The half-life of Pu-239, as well as its chemical ("heavy-metal") properties, make it extremely hazardous: A few millionths of a gram is sufficient to cause lung cancer in humans. Both of these isotopes, however, can be broken down by photons in the 10 to 15 MeV range. It is reasonably certain that "table-top" lasers can be manufactured which will output such high-powered photons, making reduction/neutralization of these isotopes highly feasible. This process is described in Dr. Livingston's patent application (URL below). Designing any type of repository for spent fuel that will last as long as plutonium's half-life, let alone ten to twenty half-lives (the standard measurement for the existence of a radioisotope is 10 to 20 times its half-life) is virtually impossible. The pyramids, for example, are only about 5,000 years old, 1/5 of one half-life of plutonium. When neutralized, U-235 and Pu-239 produce additional fission products, which are already in abundance in spent fuel (and virtually non-existent in "fresh" nuclear fuel). Fission products generally have half-lives around 30 years or less (with seven long-lived exceptions which are present in "trace" quantities in spent fuel). Thus, protecting society from fission products is a much shorter proposition: The United States is just over 240 years old. In that amount of time, most of the fission products would reduce by radioactive decay to less than 1% of their total. Six centuries is enough time for the fission products to reduce to approximately <0.01% of their original total. While six centuries is still far longer than our nation has existed, it is a much more calculable, and manageable, problem. Perhaps most importantly, U-235 and Pu-239 are both "bomb-making material." Therefore, neutralizing them completely removes the proliferation risk from the spent fuel, as well as the possibility of a criticality event during transport or storage. Actually low emittance cathodes have been explored fairly extensively. Their major utility is providing the electron source for various accelerators, including the CERN device. Here is an example reference. I don't think that the low emittance cathode advances have been incorporated into the desktop FEL's design. Stanford had a good design going, but I think the team fell apart when the lead physicist died. It is that design which I recall. Now I think coupling the idea of this emitter with a device to photofission spent nuclear waste is a matter of publicity to get momentum back behind the FEL design and testing. As you know, Yucca mountain or its equivalent is 500,000 years. The probability that a cask will fail far sooner seems to be unity. So I think that arousing public interest in de-activating spent rods by photofission is the way to go now. Palo Verde is located in a far safer location than San Onofre. It is not in an earthquake zone, a tsunami zone, or near even 1/10th of the population that San Onofre is located in the midst of. The nearest major city to Palo Verde Nuclear Power Plant is Phoenix, approximately 60 miles away. Southern California Edison is a part-owner of Palo Verde and much of the profit that Arizona Public Service makes from that facility is due to selling power to California. 1) ANY solution involving moving the waste will require a new license from the NRC so this point is not significant. 2) ANY solution, according to the Department of Energy (DOE) and before that the Blue Ribbon Commission, will require "incentives." Undoubtedly a for-profit nuclear facility and a community which already has a nuclear waste dump in its midst would be much more willing to accept "incentives" than a community which does not already have nuclear waste and an operating nuclear power plant. It might make the difference between a "profitable" nuclear power facility and one like the dozen or so that have announced closure dates due to unprofitable conditions, or have already closed. As for the waste being a "significant liability" (Tom Palmisano's words) that is true here too -- but much more so because of the added threats of earthquakes, tsunamis, and the larger population surrounding the waste. Therefore SCE would be significantly reducing its own liability by moving the waste and should be willing to pay handsomely to reduce that liability. 3) The problem of license transfer is no different than it would be for an interim or consolidated storage facility, so this is a straw-man argument when it comes from someone who endorses either of those solutions. 4) Transport issues can be significantly reduced by the Livingston method described above, as well as by building up the rail and/or road infrastructure between San Onofre and Palo Verde. The distance needing structural improvement is far less than for the proposed sites in Texas and New Mexico (neither of which are likely to come to fruition anyway). 5) Who will hold "title" of the fuel is obviously SCE's main concern: They will oppose ANY plan which does not include transfer of title. But to claim that they are more capable than APS in protecting the fuel is another straw-man argument, considering that SCE sub-contracts security, as well as subcontracting the manufacture of the dry storage casks and the spent fuel island itself. Tom's summary) Tom Palmisano's belief that there is widespread support for an interim or consolidated nuclear waste storage facility anywhere is not supported by facts. If it were, then surely the DOE would have scheduled one of their meetings on the subject in those communities. They did not do so. It must be noted that none of Tom's arguments against storing the waste are based on increased safety of the large population that surrounds San Onofre. Rather, he describes the risk as a "significant liability" to Palo Verde, essentially ignoring the fact that it is an even greater risk where it is. The main disadvantage to moving the waste to Palo Verde, or to any interim or consolidated storage facility, is that such an action is an "enabler" for other reactors to stay open, since they can then assume that the waste they generate can be moved somewhere eventually. This is a foolhardy, serious and significant problem since each reactor produces approximately 250 pounds of waste per day (according to the nuclear industry's own estimates). There are currently approximately 2,500 dry cask storage containers around the country, at approximately 70 sites, with more than 11,000 containers worth of spent fuel in total in existence today, mostly still in spent fuel pools and in the reactors themselves. A new dry cask is needed somewhere in the USA approximately every one to three days. Pretending that ANY solution other than "stop making more waste" will save America from a catastrophic spent fuel accident or terrorist attack is simply irrational -- even with Dr. Livingston's proposal, and even with interim, consolidated, or permanent storage solutions. This fact should be recognized and verbalized by the Citizen's Engagement Panel of San Onofre. Lastly, it should be noted that, prior to the permanent shut-down of San Onofre, virtually no one here was paying attention to the problem of spent fuel. Now, although that situation has changed significantly, simply moving the waste to make it anyone else's problem, and attempting to transfer "ownership" of the waste to anyone else, including the Federal government, is NOT actually solving the problem. It's just passing the buck. We as a "united nation" MUST do better than that and as de facto owners of one of the largest piles of nuclear waste in the country, it is soCal's duty to attempt to truly solve the problem, not just pass it on to someone else. Anything less does a grave disservice to our children, their children, their children's children, etc. for the foreseeable future. Thanks for your email. This is a good question and I appreciate your raising it to me. Let me give you some initial thoughts. 1. SCE is a 15.8% owner of Palo Verde. There are six other owners with varying percentages. Arizona Public Service is the majority owner and operator. They hold the NRC operating license, not SCE. 2. I don't know if the other six owners would be agreeable to storing San Onofre used fuel at the Palo Verde site. Since we are not the sole owner, it would need to be a decision all the owners agreed with. This would represent a significant liability for these other six owners and I doubt that they would be in favor of that. 3. Even if the other owners agreed, we would have to explore who would own and be responsible for the fuel, and who's NRC part 50 license the fuel would be stored under. Palo Verde is licensed to possess and store their nuclear fuel. They are not licensed to possess and store San Onofre's used fuel. Assuming we could transport and store fuel there, we might have to license and build a 50.72 ISFSI to store San Onofre's used fuel. 4. As you are aware, there are a number of transportation issues that need to be resolved no matter where we ship fuel to. 5. From an SCE perspective, our thought with offsite Consolidated Interim Storage is we would want the private party or DOE to take title to the fuel when it leaves SONGS. We would be concerned about maintaining title to the fuel and liability for an offsite location not under our direct control. With the proposed commercial facilities in West Texas and New Mexico, there initial thoughts are they or DOE would take title to the fuel. My bottom line is I think it is very unlikely we could ever reach an agreement to store used fuel at Palo Verde. I think are best chance of success in the relatively short term is to advocate strongly for the private Consolidated Interim Storage Facilities in West Texas or New Mexico. The respective companies are interested, the local communities are supportive and there appears to be some reasonable level of state and federal support. I'd be happy to talk to you further about this. Let me know if you'd like to set up a phone call or meeting. "[R]egarding liability. Edison already has a certain percent of liability at Palo Verde and they are trusting APS to manage that facility, so that should be considered an endorsement or trust in APS. "The way the liability would work is the percent of ownership and liability would go up for Edison, SDG&E and the other owners of San Onofre waste. Anaheim is one of those cities. They may probably trust APS more than Edison to manage the waste, as may other California cities. "If we could store the waste in safer containers first, they may be more inclined to take it. The cost savings would be significant. The transport is the scariest part."